24th February 2017 | filed under Face, Fat Treatments, Non Surgical, Obagi, Skin. Looking perfect for your special, big day is very important! You’ll create memories with your loved ones that will last a lifetime, and having beautiful photos is always dear to every bride-to-be. We’re often unhappy with a certain area in our bodies, and with the big day approaching this feeling can intensify. In addition to the usual hair and nails beauty treatments, you can fully pamper yourself in preparation for your wedding. The earlier you begin, the more results you’ll see just like you want! A hydrafacial is sure to leave you feeling – and looking – completely refreshed. Removing the dead skin cells on your skin helps to prevent you from breaking out before your wedding. The treatment also loosens all the impurities on your pores that can trigger an acne reaction. 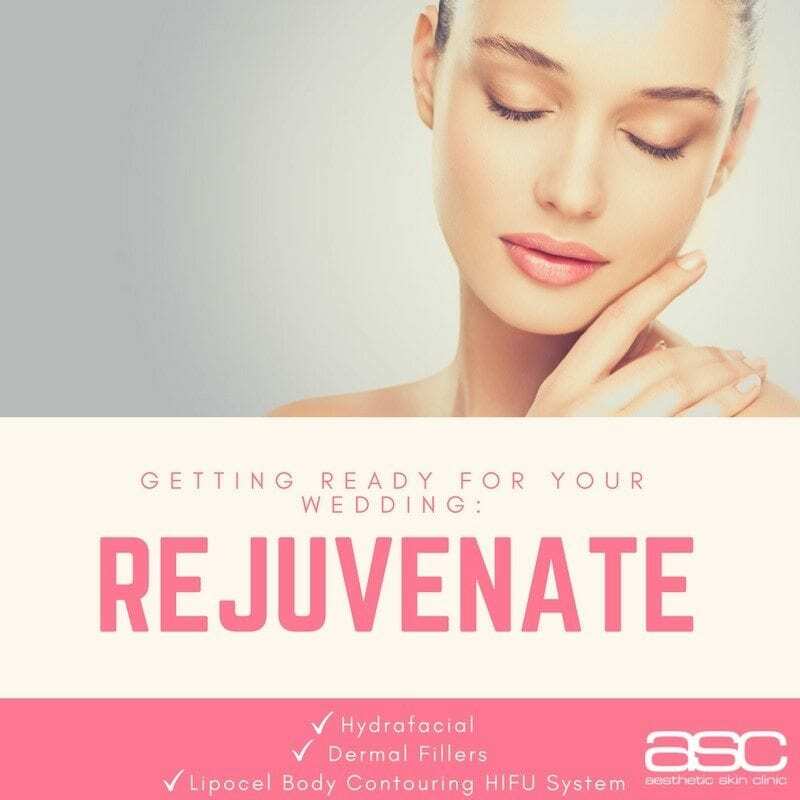 Fairly quick and very effective, you can book a hydrafacial with us a few days before your wedding to see maximum results. And don’t worry, this treatment is soft on your skin and causes no irritation! Similarly, if you want to ‘fill-in’ some of the lines that have shown up on your skin over the years, dermal fillers are a delicate touch treatment that smoothes the lines on your face. Through our treatment you will achieve a natural look, as the derma fillers are composed of a natural occurring substance produced by the human body. This quick half-hour treatment has the chance of slight swelling and some mild bruising for approximately 48 hours. To achieve a perfect, beautiful silhouette in your dressing gown, treatments such as Lipocel body contouring hifu system will help to sculpt your body and give you a boost of confidence. Non-invasive and giving you only slight downtime, it will treat those smaller areas of fatty deposits in your body that are hard to target. And the best thing is that you can keep the results of the treatment forever by adjusting to a healthy lifestyle and diet! Between waxing and laser hair removal, the latter is not only the least painful one but also the one that will give you more long term results. Wedding dresses tend to cover your legs, but you’ll want to make sure you don’t have any last-minute concerns or panic about shaving or waxing. 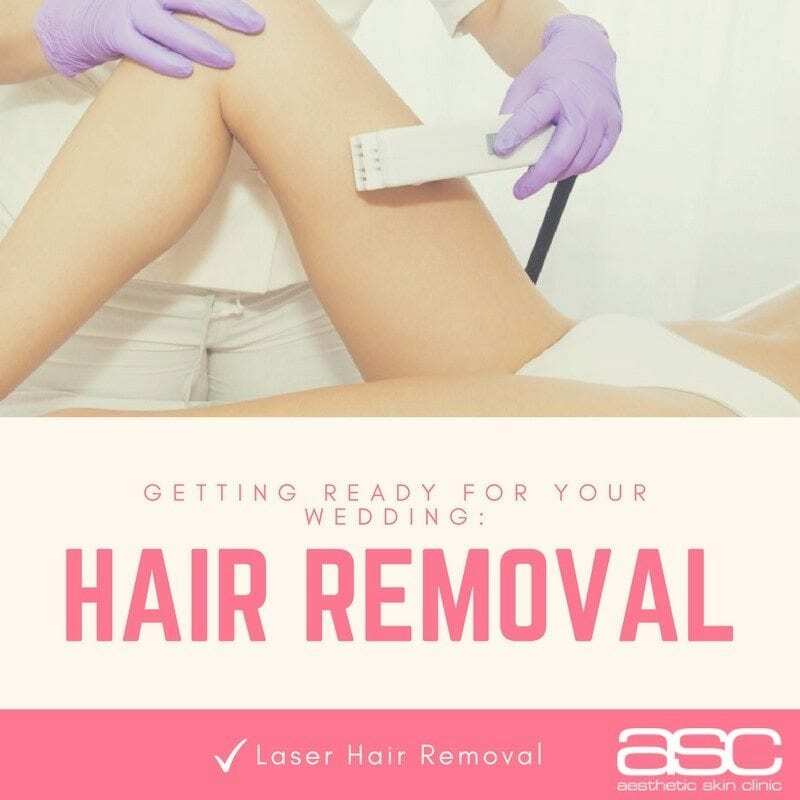 Laser hair removal should be done quite a bit in advance, and one of the first beauty treatments to do in preparation for your wedding as sessions tend to be a bit far apart. But the results will be lifelong, and you can go straight on to your honeymoon with no worries. Sometimes, there’s only so much eating healthily and exercising can do for you to erase those stubborn areas of fat. It can be especially bothersome to find that you’re not entirely happy with how you look before your wedding. For great results with very minimal downtime – so you can still very actively plan your wedding! – there are a few non-invasive fat removal treatments you can undergo. Additionally, an Obagi Blue Radiance skin peel is sure to make you look your best. Treating mild acne scarring, melasma, and photo damage, this skin peel gives you very minimal downtime but excellent results. 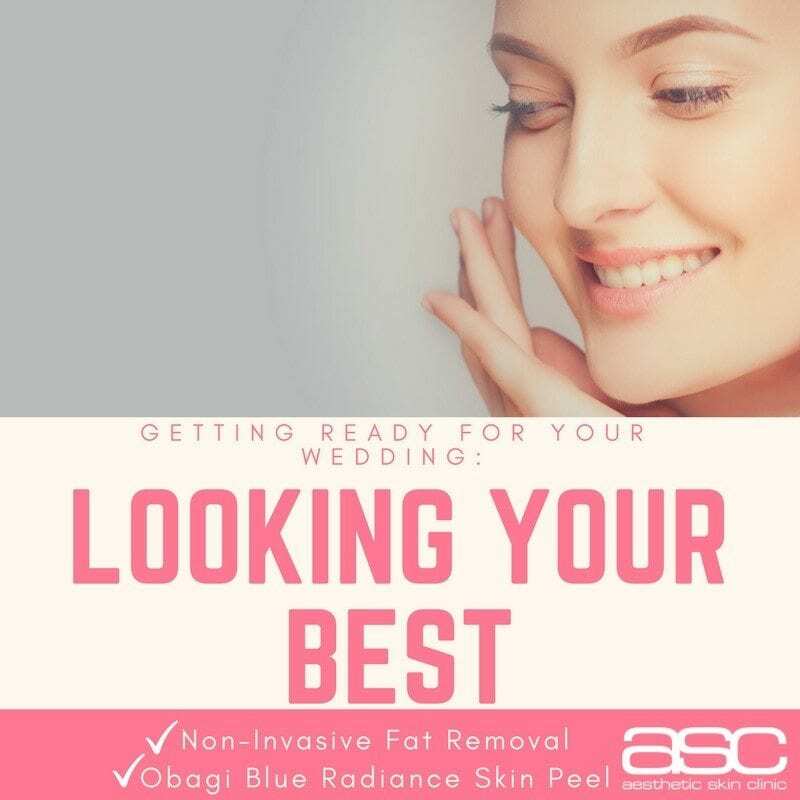 You are sure to have tighter skin, reduced pore size, and a brighter complexion that will help you look fantastic in your wedding photos. If you want to start your treatment plan with our experts, get in touch with us and we’ll set up an appointment to prepare an individual plan for you. You can also find us on Facebook, Twitter, Google+, and Instagram to see our latest news and updates.